Dealing with finances is a normal part of everyday life. However there are certain circumstances where you may want to set money aside for a particular purpose, and need something more substantial than a savings account in a bank or credit union. In these kinds of situations Trusts can become very useful. Attempting to navigate this area of the law can be difficult. Here we provide a breakdown of what a Trust is, how they are created and what they can be used for. A Trust is a kind of partnership that involves three different people coming together in an arrangement where an amount of money is passed from one person to another, for the benefit of someone else. A ‘Truster’ passes money to a ‘Trustee’ that is to be used for the benefit of the ‘Beneficiaries’. You might be going through the process of organising your estate and attempting to calculate any Inheritance Tax that your family may need to pay, and be looking for ways to reduce this liability. The point about Trusts is that they can be used for a number of purposes, depending on your circumstances. How to create a Trust? As mentioned earlier, a Trust involves a Truster, a Trustee and Beneficiaries. In considering setting up a Trust, you as the Truster would need to create a document called a ‘Trust Deed’. This is a legal document that will create a Trust and detail how any monies placed into it are to be used by the Truster to benefit the Beneficiaries. The content of a Trust Deed will depend on your circumstances, but should state very clearly what purpose the Trust is designed to serve: who is it to benefit? As such, it is advisable to have the document created by a Solicitor who has experience in dealing with the technicalities of this area of the law. You will also need to identify who you would like to act as the Trustee. You can either appoint an individual or an organisation to act as a Trustee, or a combination of the two. Regardless, you should make sure that they are aware of their responsibilities and are happy to take on the role. It is wise to have at least two trustees selected, to avoid any issues if one person is unable to perform their role. Trusts are very useful tools in that they can be used to store a sum of money for one of many purposes: whether this is for a particular purpose or to provide for someone in your family that is unable to manage their own finances. Equally important is that Trusts empower you to decide how and when someone is to benefit from the finances you place in Trust. 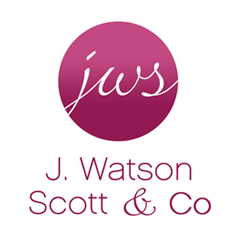 At J Watson Scott & Co Solicitors Hamilton our team of Private Client lawyers are experienced in handling Trusts and are regularly involved in the creation and administering of Trusts. If you have any questions regarding creating a Trust, or are interested in hearing how they could be used to benefit you, please contact us. Our Hamilton office is convenient to Motherwell, Larkhall and areas beyond. We will work with you to ensure that you are advised on how best to use a Trust to benefit your family.